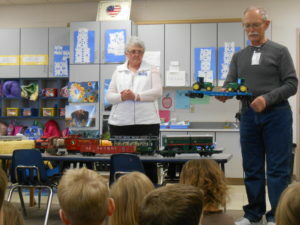 Kansas became a state January 29, 1861. 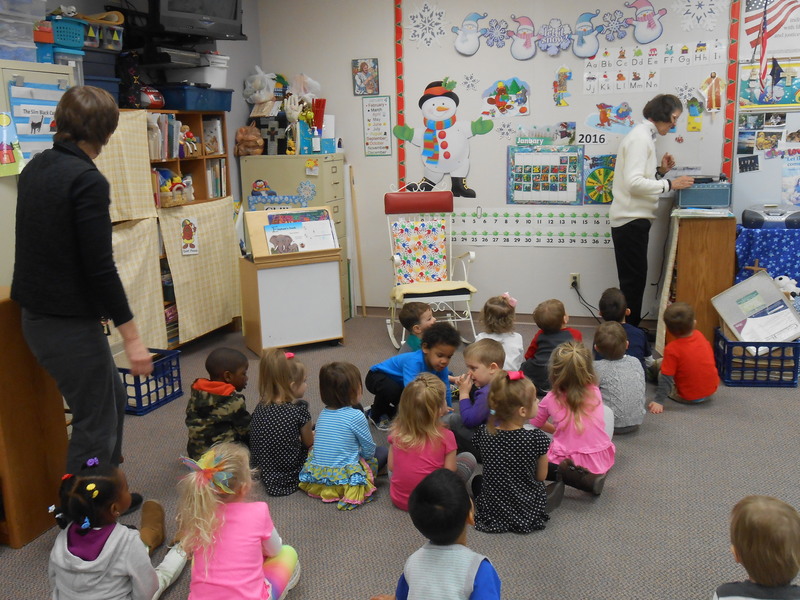 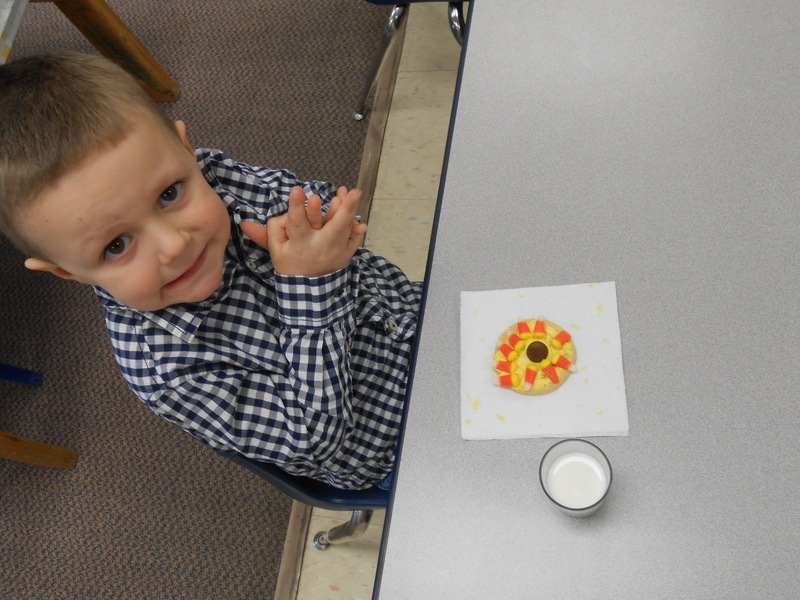 Each preschool class celebrated in different ways today. 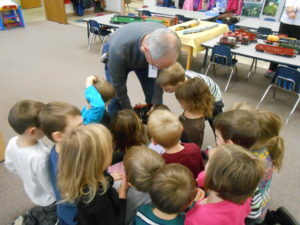 Mr. Frager was very generous and brought in his trains to show the JK. He taught the children the about tanks, passenger cars, gondolas, different engines, box cars, and refrigerator cars. We started the new year off running. 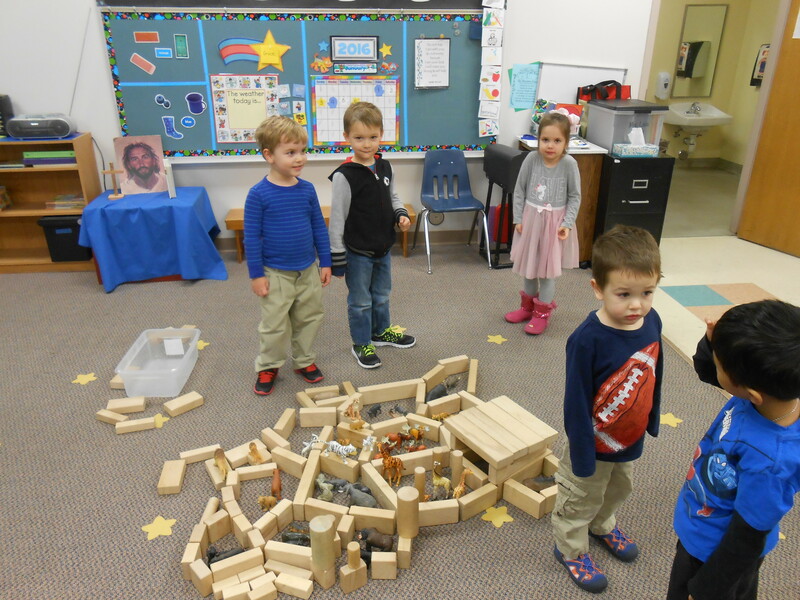 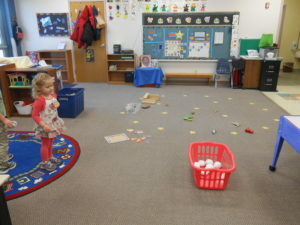 In the land of preschool we constantly are learning, playing and growing. Some of our highlights are. 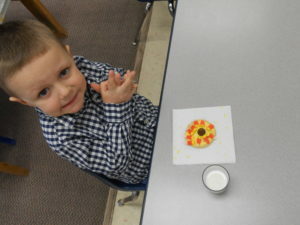 Step-Up Day. 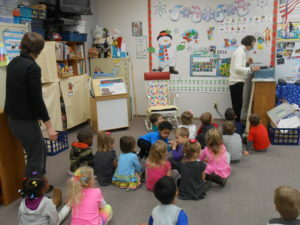 Students get to go to the classroom that they will for the next school year. They get to meet the teacher and have a taste of the next grade up. 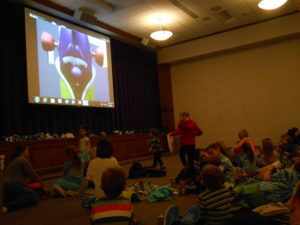 Family Fellowship Veggie Tale Movie: we had 76 attend the fun event with Veggie Tales and snacks. 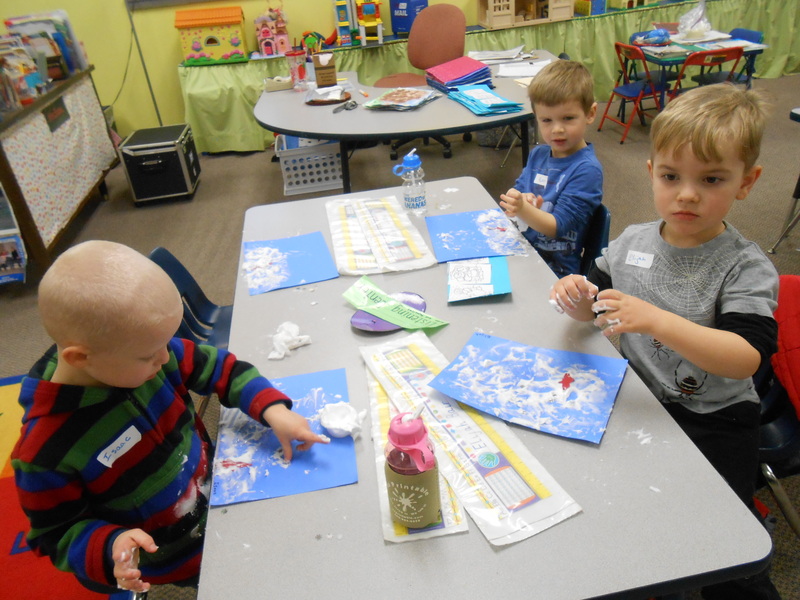 Having "snow" much fun! 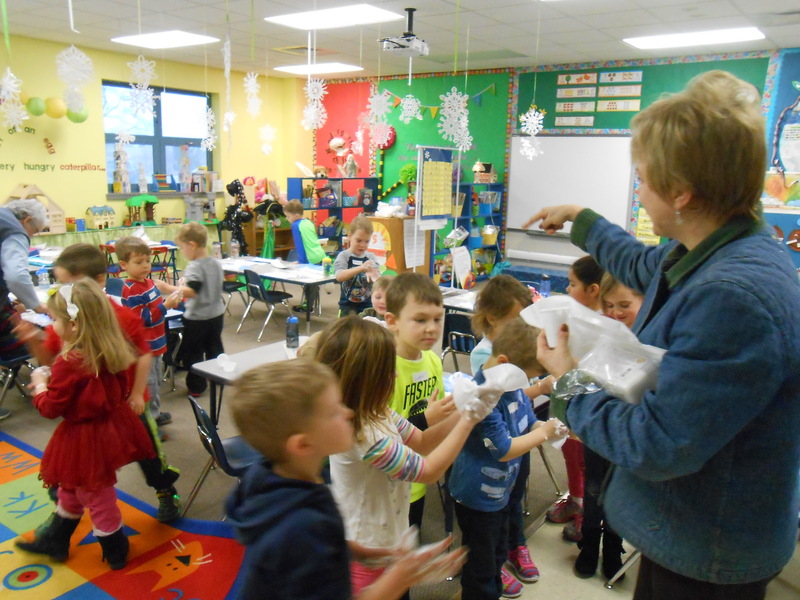 January can be a hard month with windy, cold, icy weather. 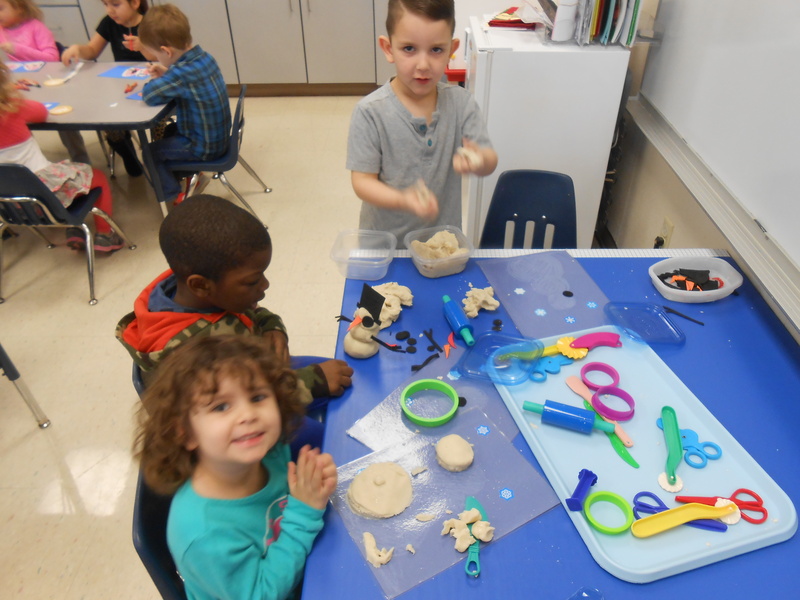 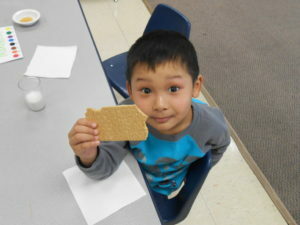 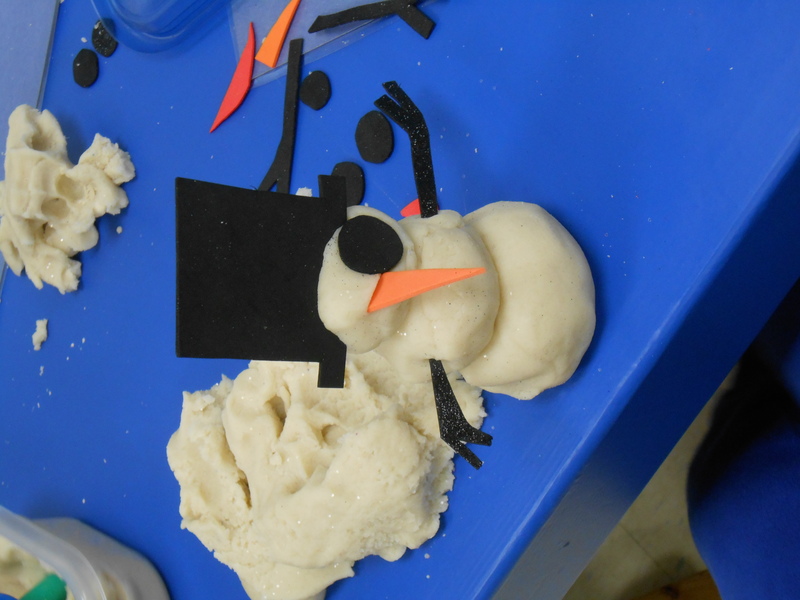 Students stayed warm and played with "indoor snow-balls," and "snow" play dough.